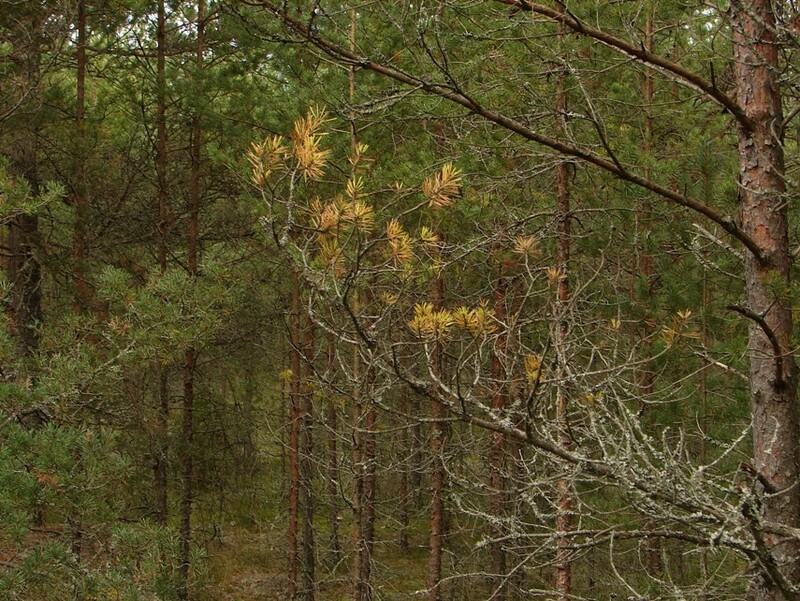 Of the conifers pines are the first to start loosing their "leaves“ in autumn - the leaves of pines are needle-shaped. Most of the yellowing needles have already served the tree for 3-4 summers. Now is the peak of the autumn leaf-fall of pines. 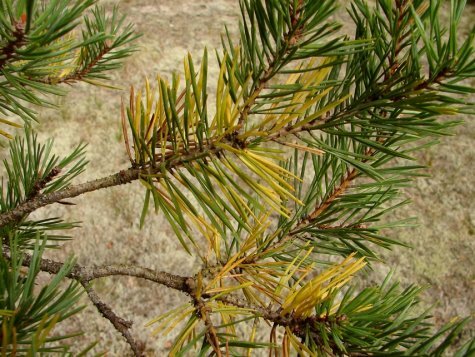 On some branches all needles go yellow – the tree no longer needs these branches and after the fall of the needles they dry up. Such wholly yellowing branches have come to be so shadowed by other branches over the years that enough light no longer reaches them. However, branches with reddish-brown needles can be seen on trees already since summer. These branches have died from some disease or damage. 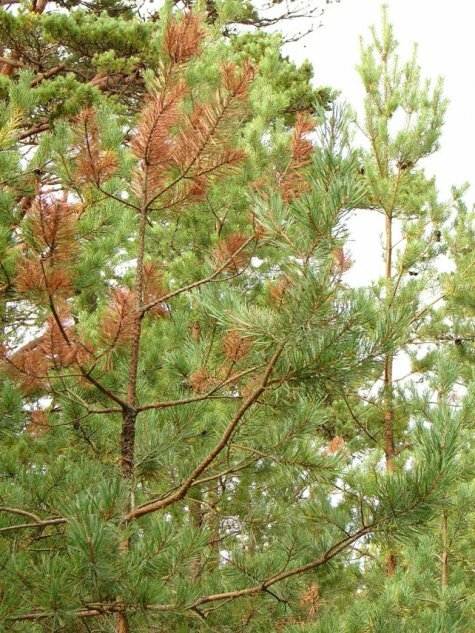 The tip of the young pine in the photo has been killed by a species of rust fungus – white pine blister rust (Cronartium ribicola).